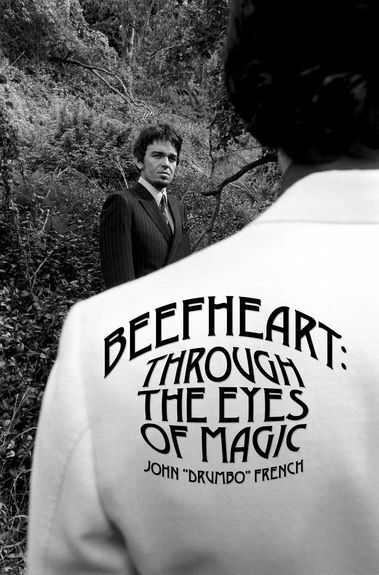 For several years here on the Radar Station we’ve been telling you that Drumbo has written a book about his time with the Magic Band called ‘Beefheart: Through The Eyes Of Magic’. It’s taken him a while to finish it and, at last, we can finally say there’s not much longer to wait. Proper Records (who released his recent solo album) have taken on the publication of this two volume masterpiece and plan to release Volume One on 1 June 2009. They’ve set up some ‘teaser’ pages and a few more teasers too. For more information … and a review (when we get are hands on a copy) check out the Radar Station’s Through The Eyes Of Magic page. Update 24 March 2009: the latest ‘teaser’. Those photos are amazing. I can’t wait for volume one to be released. I can’t wait until June, I need to know now. I already read all that I could on what Drumbo has to say about working with him, but to actually read an entire book about it would be great. Awwwww man! This looks so awesome…Will there be a pre-order?